Would you rather read a mystery novel, thriller, crime novel, or a book on personal finance? According to Statista.com even cookbooks rate higher than books on personal finance. Yet with debt at over $1.70 for every dollar earned, and many Canadians still having trouble managing their personal finances, it could do us all some good to give this genre another chance. What personal finance books should I be reading? Books on personal finance have come a long way — in some cases, the writing is fantastic and the information you learn could make a huge impact on your everyday life and long-term financial goals. If you are interested in learning how to be financially secure, there are hundreds of books to show you how. 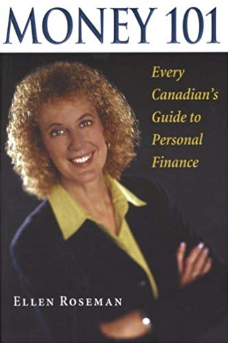 So because this week marks Canada's 150th year, I put together a list of my favourite Canadian books on personal finance—in no particular order—and why you should read them. 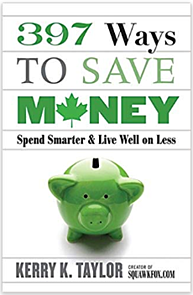 Journalist, Kerry K. Taylor’s 397 Ways to Save Money is packed with practical tips on saving. Kerry takes you from room-to-room in your financial house giving fantastic and creative ideas for saving money. The book begins with the controversial statement, “renting can make you rich.” Ms. Taylor goes on to show how thinking differently than most people can lead to savings. Book no. 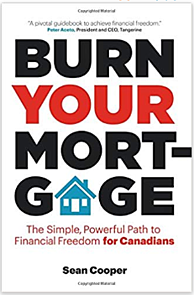 two on my list is Sean Cooper’s Burn Your Mortgage. Hot off the press in 2017, it's also written by a personal finance journalist and pension analyst. Sean paid off his $425,000 house in just three years and two months. His take on personal finance is slightly different—don’t cut out all the small stuff that you enjoy. Instead, it’s the car, house purchases and the big stuff that you need to watch out for. If you're buying a house Sean shows you how to pay off your mortgage fast. A journalist, Rob Carrick, wrote How to Pay Less and Save More for Yourself. Written ten years ago, the book begins by warning that the financial industry is set up to make money off of you. Then using a quiz, Rob measures how comfortable you are with the technology of electronic transactions. The rest of the book gives advice based on how you fall on the technology “smarts” scale. Rob’s point is if you simply trust your bank, you may end up losing a lot of money. 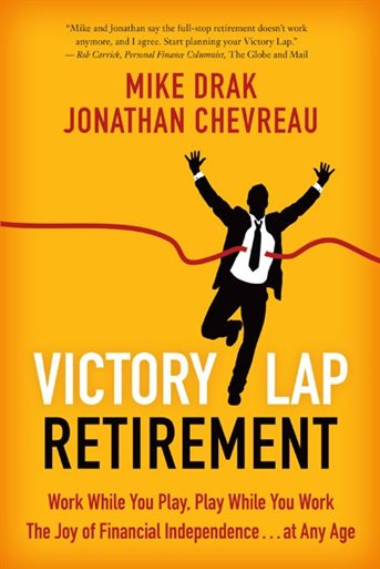 Victory Lap Retirement is written by journalist Jon Chevreau and Michael Drak, a veteran of the financial services industry. Jon describes the “victory lap” as a mix of work and leisure. This book will help you get you out of the rat race. His secret is to save enough for your basic needs – then work as much as you want for additional needs. He also urges readers to create a life from which you don’t have to retire. Makes sense. Book no. 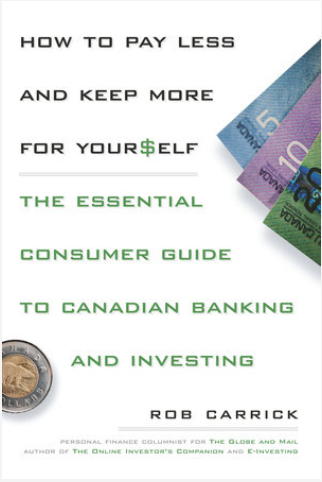 five is Money 101: Every Canadian’s Guide to Personal Finance by Ellen Roseman. Roseman provides us with a “basic course” in financial literacy. Her style is didactic and instructional, covering all the basics when it comes to personal money management. In each chapter, she gets right down to business and gets to the core of the issue in two to four pages. She hits all the right topics giving her readers a basic knowledge of personal finance. If you are looking for a comprehensive book on personal finance that will hold your interest from cover to cover, The Wealthy Barber by David Chilton is for you. Best read at a young age, it appeals to all readers. This self published book has become one of the best-selling Canadian books of all time. 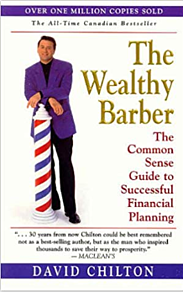 The book features a barber named Roy who makes people financially successful by cutting their hair once a month while delivering a lesson in investing and financial planning. 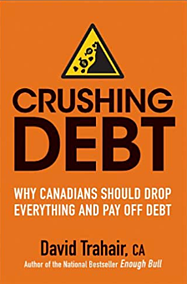 Crushing Debt: Why Canadians Should Drop Everything and Pay Off Debt by David Trahair begins with how the author fell deeply into consumer debt. The rest of the book takes a step-by-step look at the various services to help you get out of debt. I was especially impressed with David’s invitation to readers to “get in touch with him.” His advice to readers: Get out of debt in order to weather the coming financial storm. 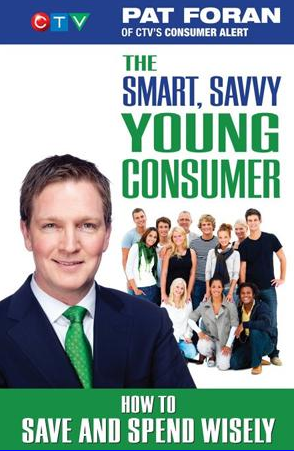 The Smart, Savvy Young Consumer is written by Pat Foran. You might consider this book as a graduation gift for a young person just starting out. The book can be read selectively on topics that interest you and it has a handy glossary at the end. My favourite chapter was chapter two, which contains quotes from people like Justin Beiber to Jim Flaherty. The ninth of book on my list is The Money Book for Everyone Else. Media personality and author, Kelley Keehn begins with a quote from Henry David Thoreau: “simplify, simplify.” And Kelley achieves what she sets out to do. Each chapter begins with a “Quick Quiz” and uses case studies and examples that bring the principles to life. 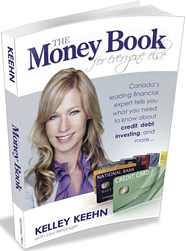 Her book is focuses on credit, debt and investing and is highly readable. 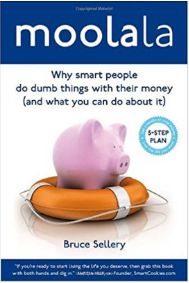 Finally, Moolala: Why Smart People do Dumb Things With Their Money (and what you can do about it), is written by Bruce Sellery. Bruce has developed what he calls the “Moolala method: a five step plan.” He also owns a personal finance training company with the same name. Bruce was inspired to write his book based on the personal stories of his workshop participants. His goal: for you to get a “handle” on your money so you can live the life you want. His book is spiced with testimonies from the workshops. These ten books provide practical ideas on how to build a sound financial footing. Some of these books go further and provide you with concepts and thinking patterns that can help you develop your own strategies for financial success. If you, or someone you care about is struggling with their finances, call Credit Canada at 1.800.267.2272 for free, expert advice that is 100% confidential and non-judgmental.